1. 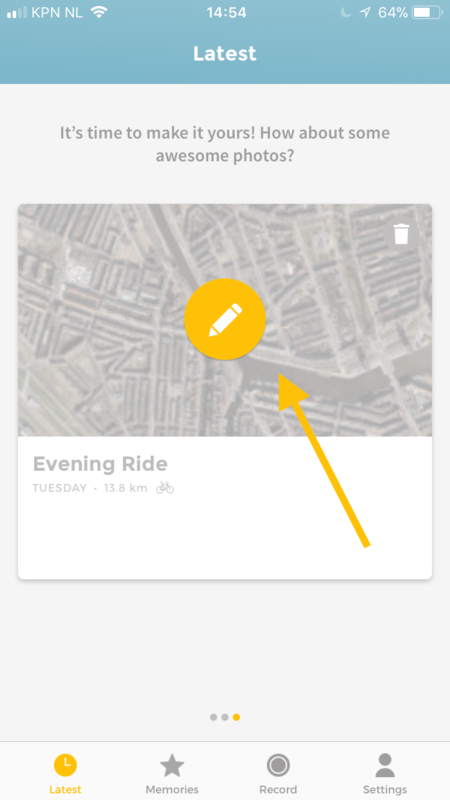 Open the app and press the pencil icon. 2. 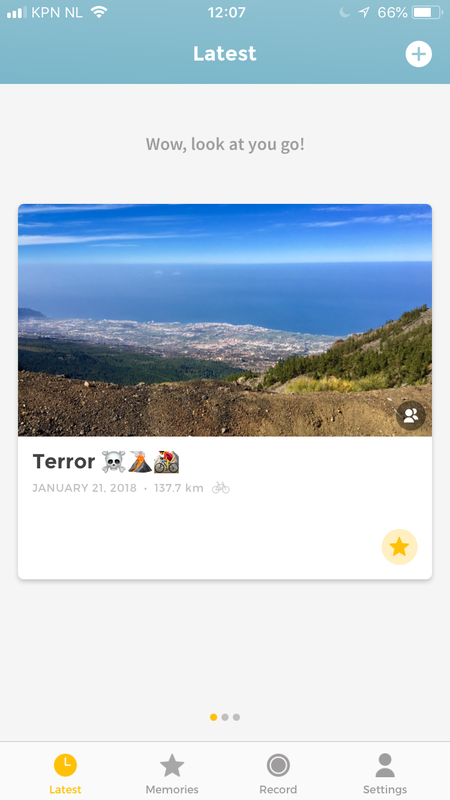 Select the photos you'd like to see in your video. 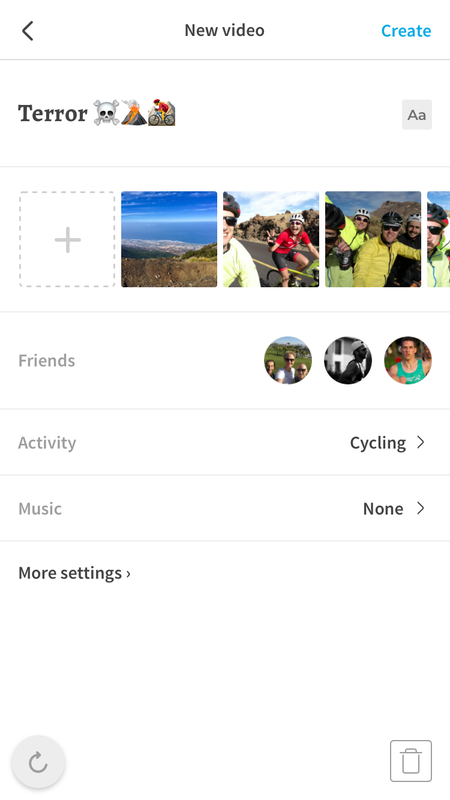 You can select photos from during activity, photos taken by friends (who are also on Relive) and others photos from your camera roll. 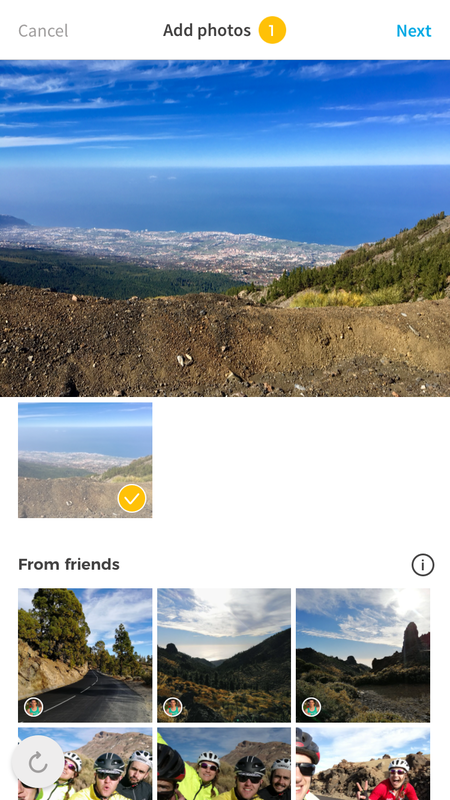 Learn more about photos in your Relive. 3. Select the friends you want to appear in your Relive video. 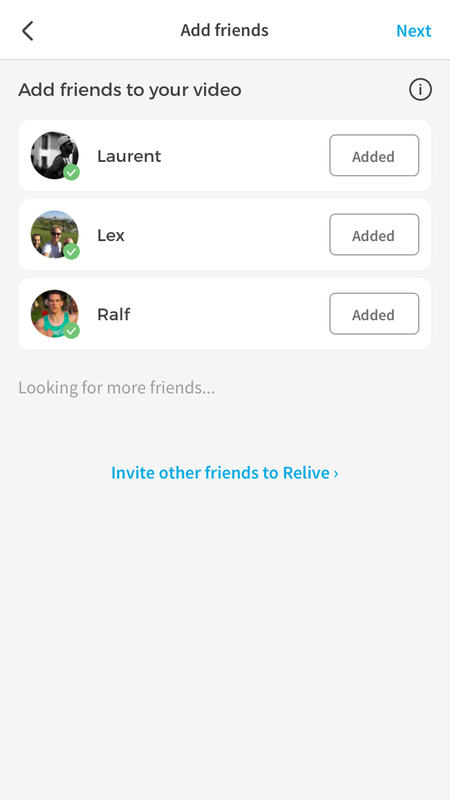 You can add your friends who did the same activity as you and signed up for Relive before the activity. Learn more about Relive Together. 4. 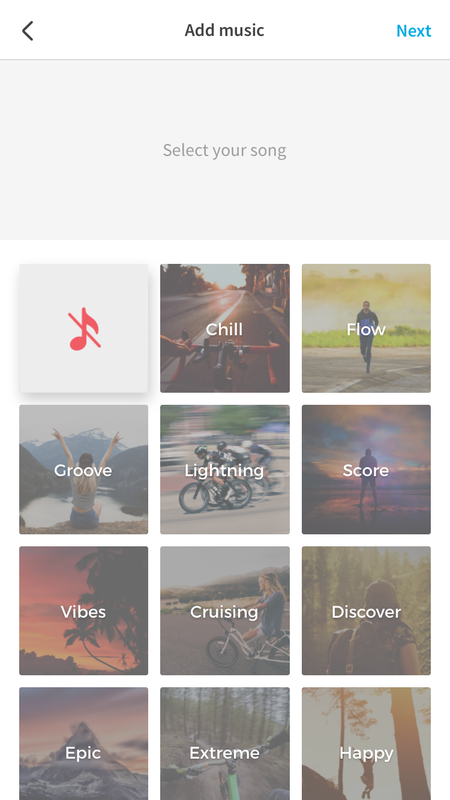 Relive Club members can add a song to their video (premium feature). 5. This is the overview page. Add a title and check the details of your video. 6. Press Create and your video will be rendered. This can take up to 2 hours, you'll be notified when the video is ready to view!